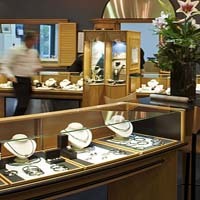 We are the leading Manufacturers, Importers & Exporters of Diamonds. Qualified, motivated and inspired employees are essential in our line of business. That's why we're committed to communicating with, supporting and developing everyone who works at VJV. Our HR strategy is designed to ensure we continue to have the people and expertise we need to face today's challenges and those ahead of us. VJV has established core centers of excellence in diamond manufacturing around the world. Our state-of the-art factories are both efficient and innovative, constantly upgrading to meet the highest technical skills. A carat is a unit of measurement used to weigh a diamond. One carat is equal to one fifth of a gram (0.2 gram) or 200 mg. One carat is equal to 100 points or 100 cents. Diamonds, Buy Diamonds Online, Rough Diamond, Diamond Grading, Loose Diamond, Cheap Diamond, Buying Loose Diamond, Clarity Diamonds, Diamond Manufacturers, Diamond Jewelry, Certified Loose Diamond, Online Diamond Store, Polished Diamonds, Diamonds Retailer, GIA Certified Diamonds, Diamond Manufacturers India, Diamonds Wholesale, Black Diamond, Fancy Cut Diamond, 4cs, Diamond Suppliers, Carats Diamonds, Round Diamonds, Solitaires Diamond, Carat diamond, Diamond Wedding, Diamond Jewellery, Diamond prices, Diamond in Surat.